Wynter Court is a stunning Edwardian manor that commands a breath taking position with far reaching rural views across the River Wye to the Black Mountains beyond. 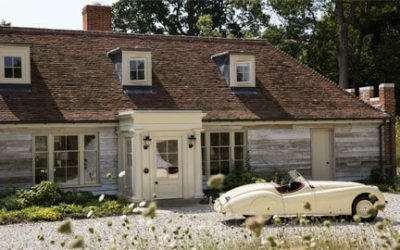 Enjoy complete privacy and seclusion in this most beautiful of locations, with a 1000 acre private estate to explore and wonderful grounds with cascading lawns and gardens, perfect for long summer days and evenings. 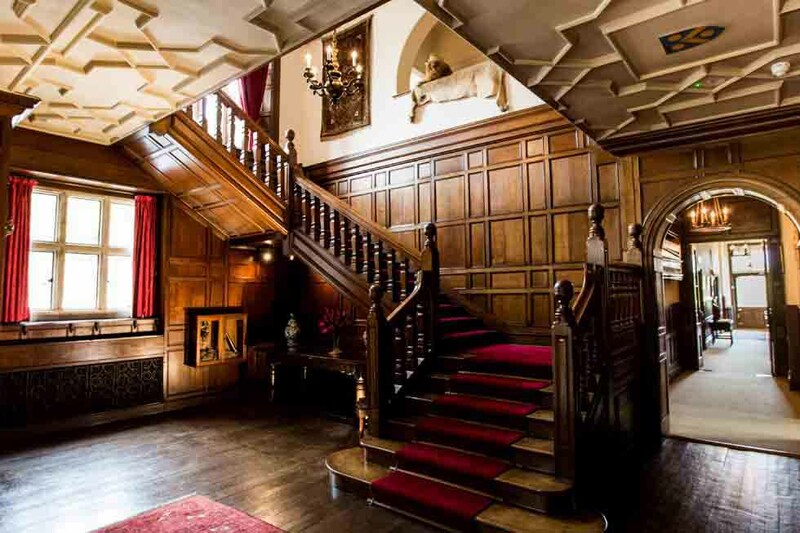 The house is full of elegance and splendour, with beautiful antique furnishings and original features abound, including the spectacular double drawing room, magnificent fireplaces and the dramatic sweeping staircase and wood panelling of the Grand Hall. Upstairs, the 11 individually designed luxurious bedrooms offer supreme comfort and beautiful views. Wynter Court is set in a stunning 1,000 acre private estate in Herefordshire, close to the Welsh border and just outside the beautiful market town of Hay-on-Wye. 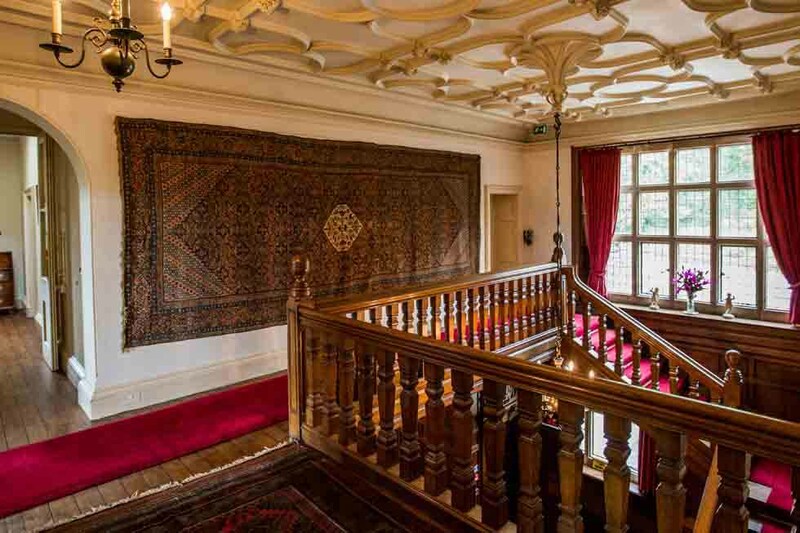 The Wynter Court Estate dates back to the 6th Century and is linked to St Cyndir, a contemporary of King Arthur. 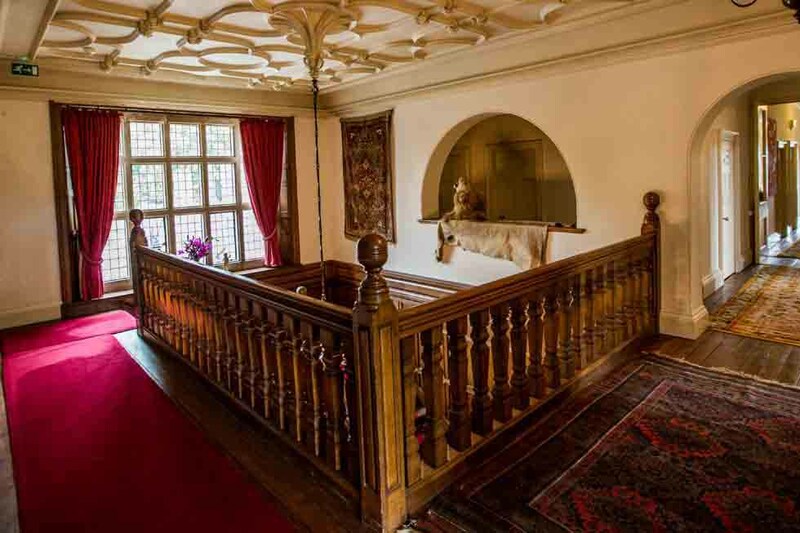 In the early 13th Century, a new lordship was created for a knight, who took the name de Whitney and created a medieval castle within the Estate. It remained in the Whitney family until the Hope family purchased the Estate in 1897, and remain custodians to this day. 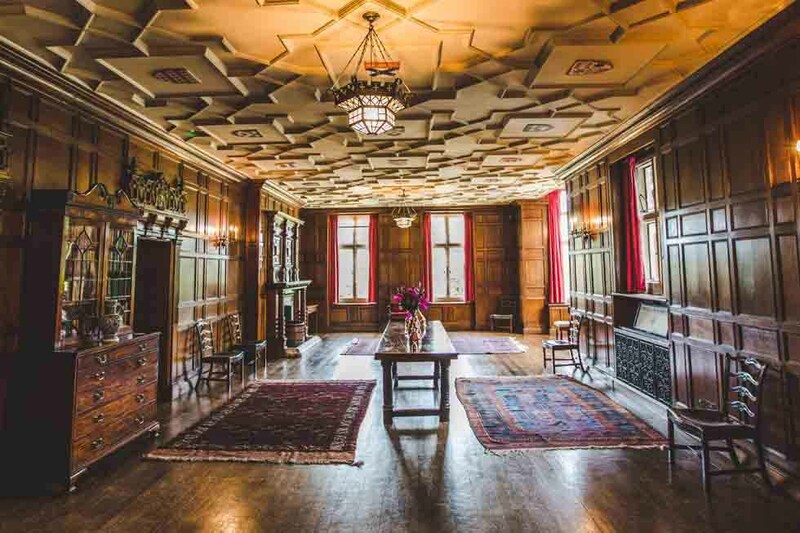 The present Wynter Court was the third successor to the original castle, created in the Edwardian era by the Hope family as a revolutionary Neo-Jacobean manor, with one of the first private electricity systems in the UK. The house is approached via wooden gates to a sweeping driveway with central fountain. 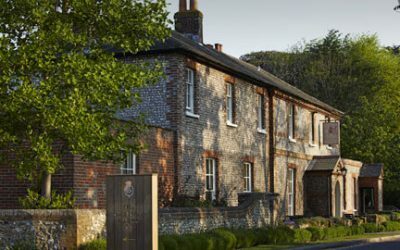 The house is set in a 1,000 acre private estate, and is surrounded by parkland, woodland and beautiful gardens. The rear of the property there are several large, flat grass terraces, cascading down towards the River Wye, which can accommodate a marquee for up to 250 guests, with stunning far-reaching views over the surrounding countryside to the Black Mountains in the distance. 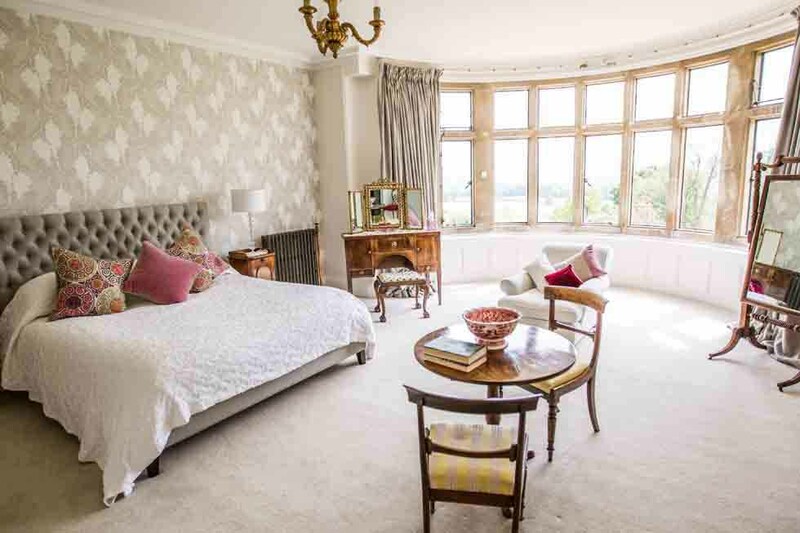 Explore photographs of the historic Wynter Court here, with a selection of images showing the exterior, interior rooms and bedrooms, along with the grounds and setting of this truly beautiful property. Find out more about prices to rent the stunning Wynter Court, yours exclusively whether you wish to stay for one night or one hundred. 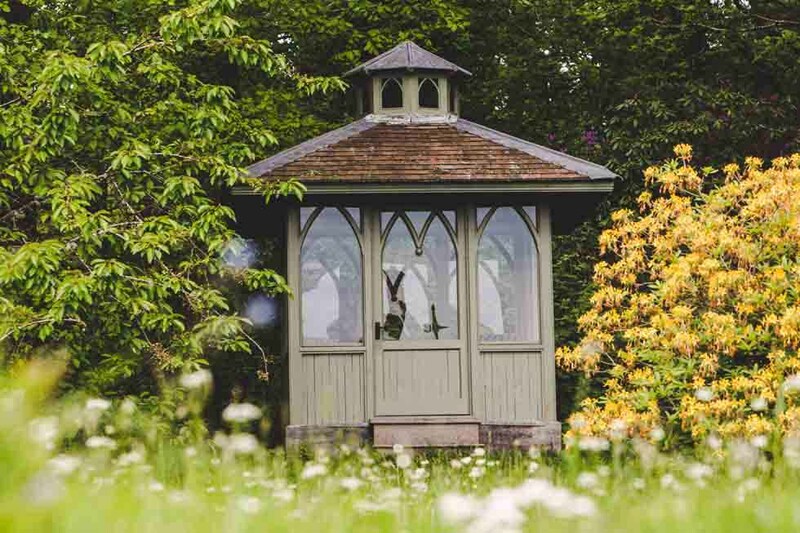 Wynter Court is set in a private 1,000 acre estate, one mile from the village of Whitney-on-Wye, and around five miles east of the charming market town of Hay-on-Wye, famed for its literature associations, and host to the annual Hay Literary Festival in early June. The closest train stations are at Hereford and Leominister both 14 miles away, and the nearest international airports are Cardiff, 70 miles away, or Birmingham, 76 miles away. Thank you for the Hamper, it was a pleasant surprise. We all enjoyed our stay at Wynter Court very much. The setting was beautiful and the property was stunning. May I take this opportunity to thank you for all your hard work and efficiency in putting this package together for us. 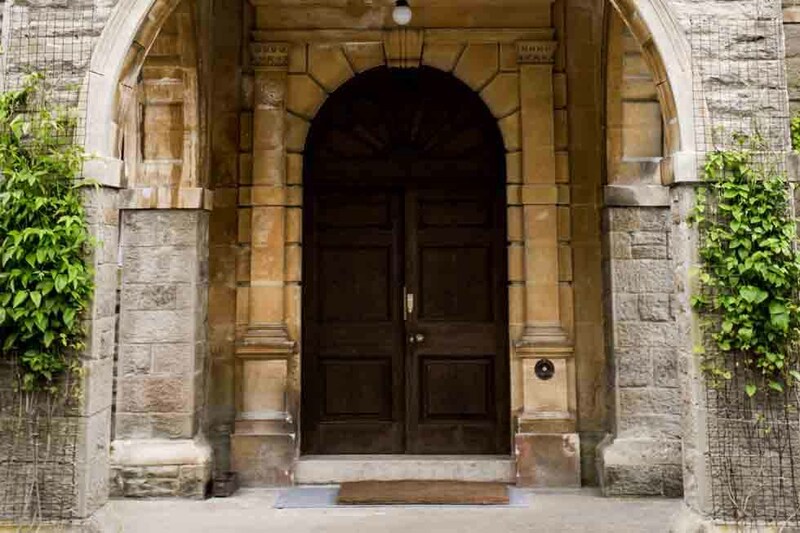 We were blown away when we first saw Wynter Court, the impressive entrance and even more impressive building has real wow factor, and that was before I even saw the interiors and those views! This property is a real gem, a beautiful historic manor full of character and elegance, yet so welcoming and homely, and at an amazing price point. 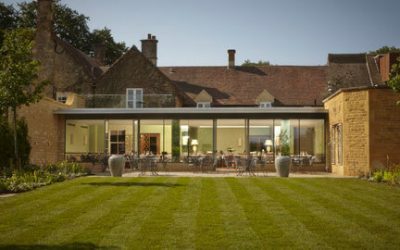 We cannot recommend this property enough for relaxed celebrations, weekend breaks, events, weddings and family holidays, Wynter Court is a wonderful choice in the most amazing setting.